When do I need to hire a wedding planner? 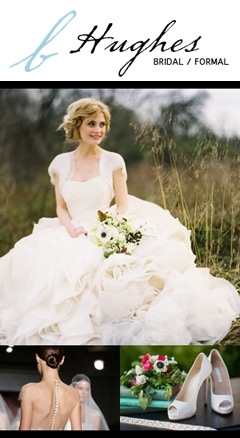 The best investment a bride can make is hiring a professional wedding planner. The ideal time to meet and hire your wedding planner is as soon as you are engaged and ready to get started. Professional planners will save you time, money and the stress of making decisions before knowing all the facts when planning your wedding. What should I expect in the first consultation? Expect a lot of questions. We want to get to know you, your fiancé, and your story. We want your wedding to be as much about you, your life together, and your personal style as possible. Do I need have a church or venue selected before calling? Absolutely not! The great advantage of working with us is that we can help you make great decisions along the way. Let us read the fine lines in contracts before you sign on the dotted line. How much does hiring a wedding planner cost? Our most popular option for brides is our all-inclusive package, which includes unlimited time during the planning process. We attend all vendor meetings during the hiring process and work with your vendors to ensure your details are picture perfect. We are with you from the moment we begin planning until the last guest leaves at the end of your reception. Each package price is customized based on the needs of our couples. Do you have partial planning packages? We are happy to create a custom package based on your needs. We do a free consultation and can discuss all the options with you at that time. What is your relationship with vendors? We have wonderful relations with vendors locally, nationally, and globally. We work directly for you and put your needs first during vendor selection; we focus on you and pairing you with the perfect vendors to make your wedding day flawless. Our brides become our friends, and as our friends, we protect your every need during the planning process. We respect your budget and time management. We work with you to create a personalized signature style so your wedding doesn’t look like all the others you’ve attended. We believe it’s all about the details and focus on things that will make your day special and memorable. Worried about the stress of planning a wedding? Our passion for what we do is evident from the first consultation. You’ll be taken care of so you can be stress free during this very special time. Let us eliminate any worry you may have and ensure that your day will be one you and your friends will be talking about for years to come! After the wedding, what can you help me with? We love seeing our brides after the wedding; after working together for so long, we like to stay in touch! We know your day is special to you, and we love being able to show it off. Let us contact your local publications and reach out to our friends at the most recognized bridal magazines in the country to submit your wedding to be featured. Even if you just want to sit down over a glass of wine and relive your amazing day, we’re here for you! We cherish the relationship that we build with you, starting from day one and continuing far beyond your wedding day.